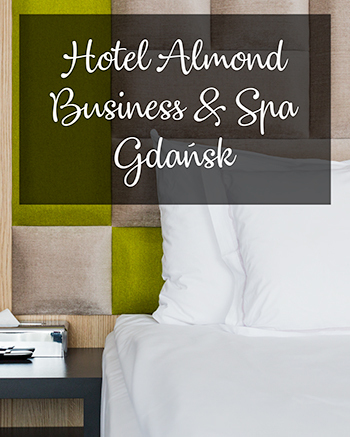 During our trip to Gdansk we stayed at Hotel Almond Business & Spa and we were very satisfied. 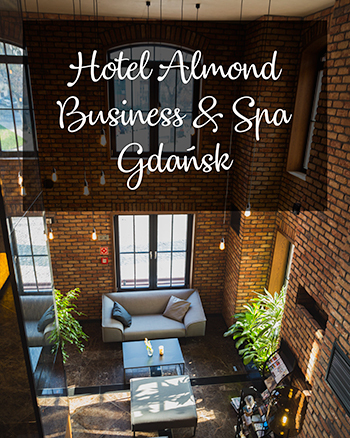 Hotel Almond Business & Spa is located cirka 600 metres from the Gdansk Old Town and is a 4-star hotel. I usually travel on a budget but since this trip was for my mothers 50th birthday we decided to get a more luxury hotel. I'm more of a hostel or B&B kind of girl but a 4-star hotel every once in a while is not that bad haha! 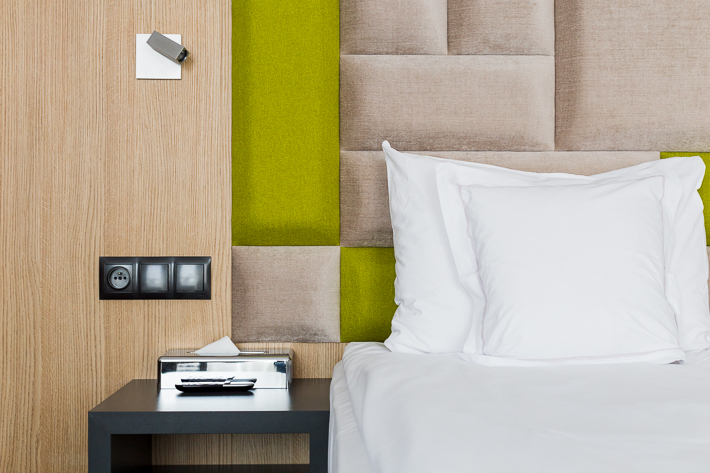 The rooms at Hotel Almond Business & Spa are modern and bright. According to me there's nothing worse than arriving to an hotel/hostel and realise that there are not enough window light or that the room is dark over all. We had a sofa bed in our room where I slept. All three of us decided that it would be better to spend our money on something else than a second room and since we traveled as a family, no one even cared. We only slept in the room, we didn't spend any other time there. Our room also had a stunning view over the river! On to my favourite part; BREAKFAST! There's nothing better than a really nice hotel breakfast buffet and oh boy this was nice. 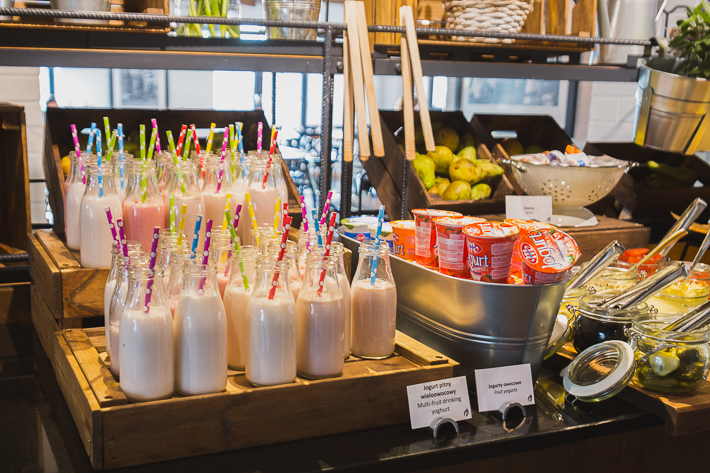 Homemade smoothies, fruits, pancakes, bread, yoghurt and even some baked goods if that's what you prefer! 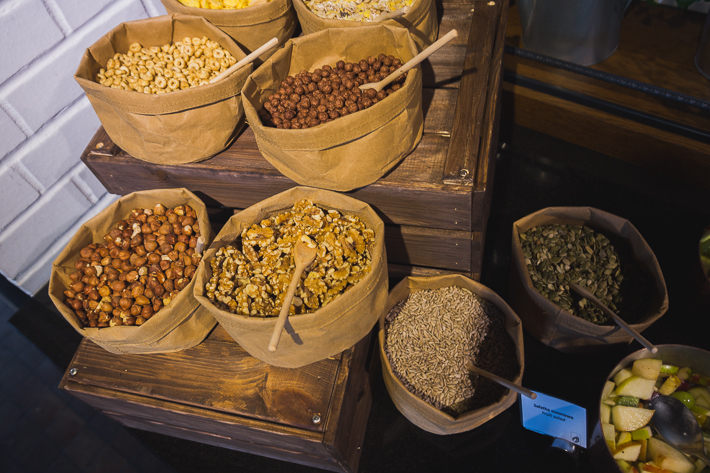 The Hotel Almond Business & Spa's breakfast buffet had a great selection of both sweet and savory breakfasts and that's something that I believe is truly important. 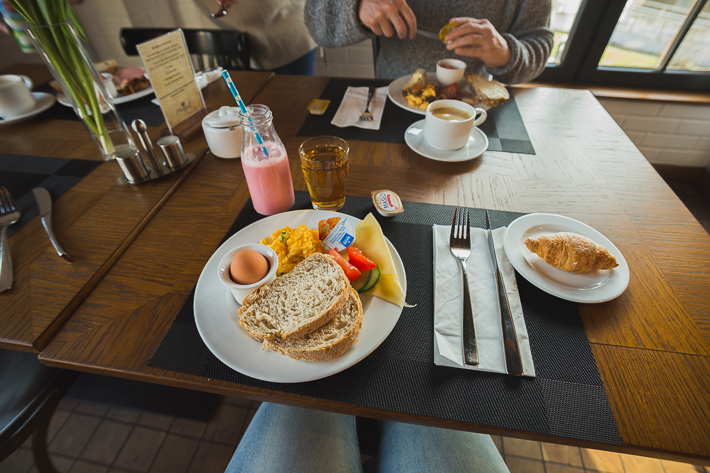 I also felt that the whole breakfast restaurant worked really well with the rest of the hotel. 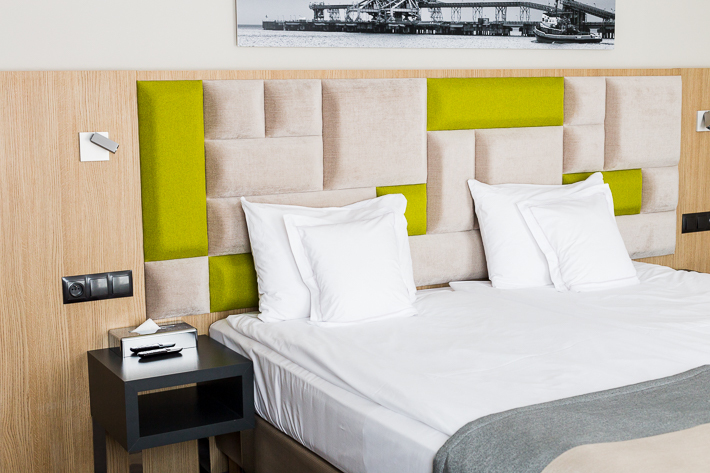 The style of the hotel is a bit industrial and I felt that they've incorprated that great but still kept it modern and bright. This is the lobby and here you can see what I mean by industrial. This theme continues throughout the hotel and I think it's really nice. 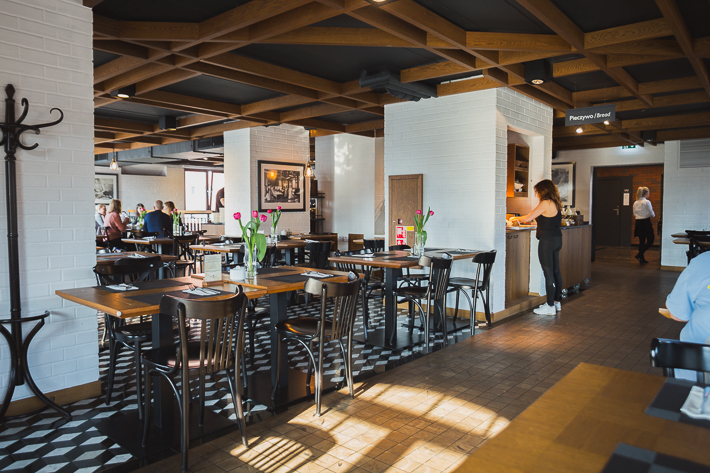 I'm a big fan of the more industrial style and I think that Hotel Almond Business & Spa looks super nice and worked with the style in every corner of the hotel! 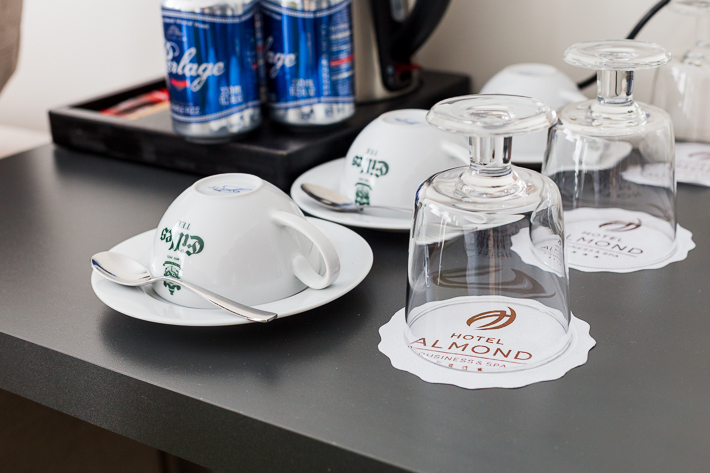 It wouldn't be called Hotel Almond Business & Spa without a spa right? This is where my only complaints are. 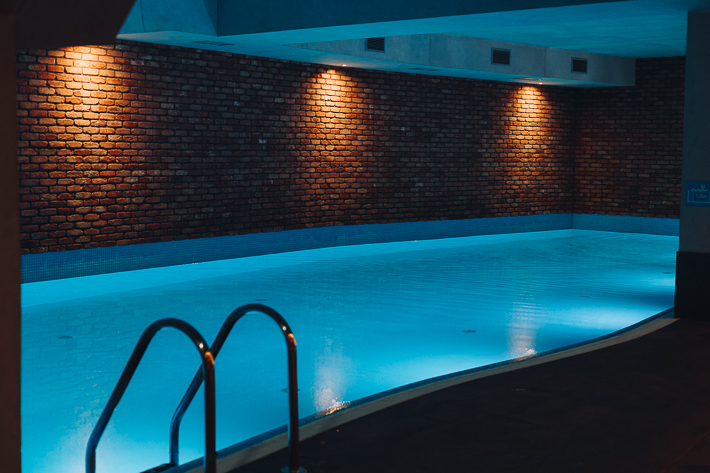 The spa was relatively small, which I don't mind but then it's even more important to keep it functioning. The pool was very nice and the saunas were great but the hot tub was not hot at all and it was filled with small pieces of gravel. The hot tub was therefore not very nice at all. Otherwise I really liked the spa. My mother got a treatment on her birthday and she chose some sort of massage with aroma therapy. I asked her and she said it was really good and before the treatment she filled out a form so that the massage therapist could adapt the massage to her. 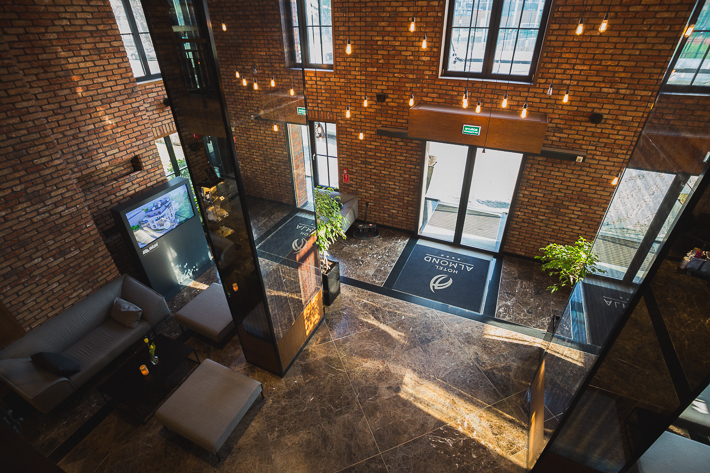 Over all I'm very satisfied with our stay and I really recommend that you check out this hotel if you're going to Gdansk. It's just a five minute walk to the Old Town and very close to the train station where you can take the train to Sopot or Gdynia. It's a perfect location just by the river.